Chris Harris in the Aston Martin Vulcan is arguably the best thing to come out of new Top Gear. I can’t think of anything better. More cinematic and juiced up with tasteful entertainment, the Harris-Vulcan Top Gear film expands on his usual schtick. It’s better than the usual Harris. When I was promised Chris Harris On Cars but with the production budget of Top Gear, this is exactly what I should have imagined. 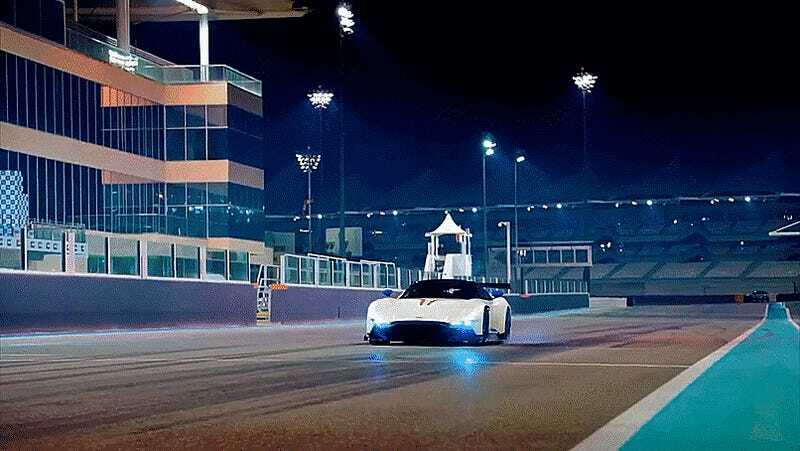 A film that captures Harris’ raw reactions behind the wheel of the Vulcan, and captures the gorgeous lines and details of a timeless car design, and somehow captures the demonic nostril-flaring noise of the Vulcan’s V12, and the beautiful architecture of one of the most beautiful circuits in the world at Yas Marina, is quite possibly the best of the newest season of Top Gear, and solidly within the ranks of the best of any Top Gear car reviews. And then you throw in an Aston Martin V12 Vantage S. Mmmmmmmm. They’ve kept the proper Chris, so let’s hope they use him in this capacity again. And again.